Morten Jerven strikes again! Back by popular demand (or due to a lack of a supply of good economic research about ‘Africa’). 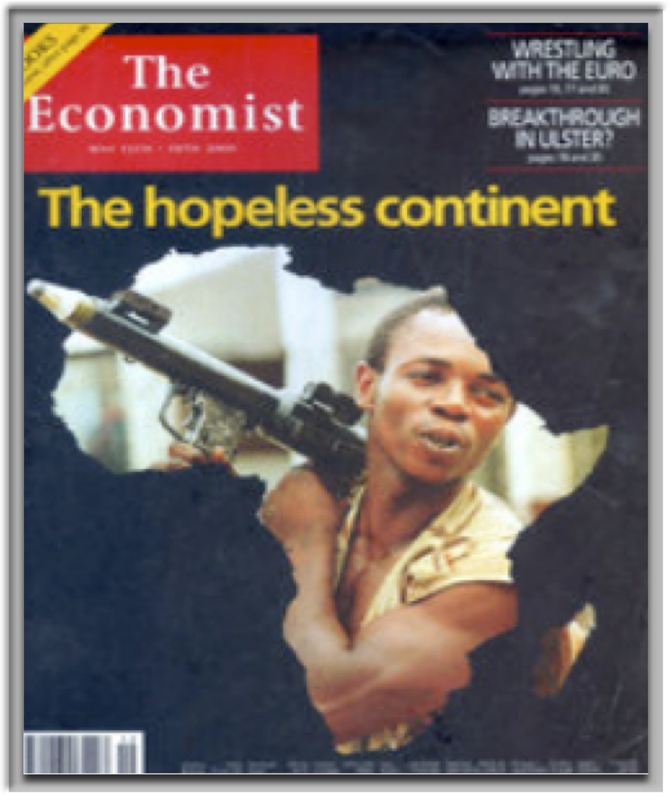 In 2000 The Economist ran a cover page with a headline calling Africa a hopeless continent. In the cover article of that issue The Economist asked the question: “Does Africa have some inherent character flaw that keeps it backward and incapable of development?” In 2011 The Economist had changed it’s tune with a cover page singing the song of Africa rising. In his newest book, Morten Jerven asks the provocative question: “Do economists have a character flaw that makes them incapable of doing good scholarly work on Africa? The book is short and approachable by all who are really interested in economic growth and poverty reduction on the African continent. I urge my non-academic friends and readers to pick up this book. One of the objectives is to equip non-economists to read economics more critically. The first book I read about development economics was Paul Collier’s “Bottom Billion”. In it Collier made the claim that almost a billion people live in countries that do not experience economic growth. He coined the term “Africa+” which identified over 60 countries that do not grow and experience various poverty traps: the conflict trap, the natural resource trap, the being landlocked with bad neighbors trap, and the bad governance in a small country trap. Morten’s point is that their is no such thing as the “Bottom Billion” and this notion that Africa is a place experiencing chronic failure is misleading and outdated. A substantial pile of literature in development economics regards trying to understand the lack of economic growth in Africa. This leads to study after study trying to find variables and characteristics that explain why Africa has experienced slow economic growth. Jerven sites a study that reviews this literature and reports that 145 variables have been found to be statistically significant explanatory variables for Africa’s low growth rate. Not only has this approach failed to provide informative information, Jerven calls this approach the “Subtraction Approach” – where the characteristics of a developed country are compared with the characteristics of an underdeveloped and the differences are taken to explain the lack of economic prosperity. In this approach the lack of growth is explained by the lack of something else. This leads to statements that sound very tautological: Underdeveloped counties are underdeveloped because they are underdeveloped. This search for “why Africa is so poor” has missed the critical nuances of the diversity of a continent of 54 countries. Since independence some countries on the continent have experienced periods of growth, some countries have experienced periods of negative growth, and many countries have experienced both. Averaging all of these experiences together causes us to ask wrong and uninteresting questions about Africa as a whole. If there is no “Bottom Billion” then surely the “Africa Rising” trope must jive with reality. Jerven, however, isn’t hot on the idea of “Africa Rising” either. Jerven points out the recent experiences of Ghana and Nigeria when they updated the base year for the GDP calculation. In the case of Ghana this statistical maneuver made them a middle-income country overnight. But, it didn’t happen overnight in the lives of those living in Ghana. It happened slowly over the course of many years. And that’s Jerven’s point, we don’t have good enough economic data in many countries in Africa to make broad statements such as ‘Africa is rising’. Many of those countries are calculating their economic activity through a grossly outdated market basket of goods and services. In Nigeria for example, before they rebased in 2013, they were not including cell phones into their GDP calculation. GDP is a remarkably rough measurement of wellbeing. For example: if you marry your cook, GDP decreases. If your country is rebuilding after a natural disaster, that activity counts as GDP (see post-2010 Haiti earthquake for a recent example). Additionally we need to be careful with statements like “seven out of the 10 fastest growing countries in the world are in Africa”. While this statement may not technically be wrong, it presents a misleading realty. To make this statement one must do the following calculations: Countries with less than 10 million people are excluded, which leaves 81 countries, 28 of which are in Africa. If OECD countries are omitted because it is unlikely that these countries are going to be growing at a rate greater that 7 percent per year, then half of the remaining countries are in Africa. A less misleading statement could be “on average some African countries are expected to grow slightly faster than other non-OECD countries”, but that is boring. I hope I’ve demonstrated some of the important contributions this book makes. I strongly recommend anyone to read it. In summary, the book reminds us to study economies not economics. While this may seem like a meaningless statement, there has been an unfortunate trend toward cross-country studies based on macro-analysis and away from country-level studies that embrace the nuances of the local context. This is a welcome critique, because books like Collapse, Why Nations Fail, and The End of Poverty have all been popular and influential books in their time. Development Drums with Owen Barder and Econ Talk with Russ Roberts.